Este item não pode ser enviado para Brazil. Envio Internacional: Este item não pode ser enviado para Brazil. 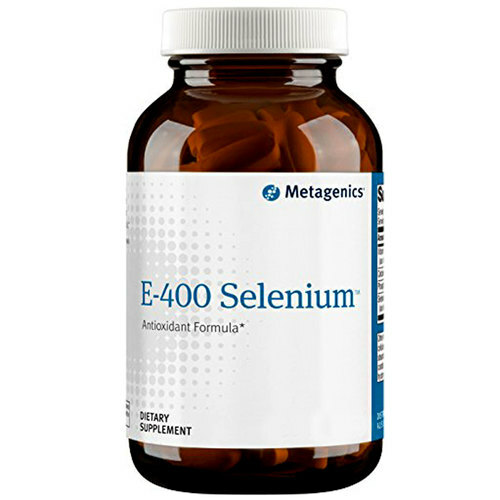 Increase your antioxidant intake with E-400 Selenium from Metagenics. This product contains the mineral selenium along with natural-source vitamin E, calcium and phosphorous to help boost your antioxidant protection. E-400 Selenium from Metagenics could support tissues from free radical damage. Notas: Does not contain wheat, gluten, soy protein, animal or dairy products, nuts, tree nuts, fish, crustacean shellfish, colors, artificial sweeteners or preservatives. Recomendações de uso: Take 1 tablet up to twice daily with meals or as directed by your healthcare practitioner.